PUTRAJAYA: The Public Service Department (PSD) today announced its New Sponsorship Model 2016 which focuses on placement of students within local institutions of higher learning. The model also focuses on helping more students from the low-income group to further their tertiary education. PSD, in a statement today, said there were six categories under the new model. The categories are the national sponsorship programme; engineering special programme in Japan, Korea, France and Germany; local degree programme; Dermasiswa B40 programme; Bursary Graduate Programme and the Bursary programme. "Under the national sponsorship programme, 20 best students from the 2015 SPM examinations will receive sponsorship from the PSD. PSD will also sponsor 200 students who excelled in their SPM 2015 exams who are interested in pursue their engineering degree in Japan, Korea, France and Germany. 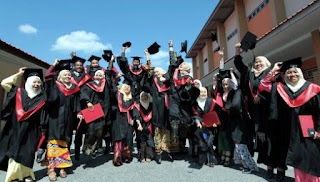 "A total of 7,000 students currently studying in public universities and government-linked companies’ private universities such as Universiti Tenaga Nasional, Multimedia University and Universiti Teknologi Petronas will receive sponsorship under the local degree programme. "For the Dermasiswa B40 programme, PSD will sponsor 1,000 students from the low-income group,” said the department. PSD said it will continue to sponsor 744 students under the Bursary Graduate Programme to pursue their first degree in local universities. It said 250 students who had scored 9A+ and above in the SPM 2015 exams will also receive sponsorship under the Bursary programme. The new sponsorship model was drafted based on four main cores, namely merit and inclusiveness; focusing on B40, M40 and Technical and Vocational Education and Training group; Malaysia as an education hub; and investment returns. "PSD will continue the sponsorship programme with an allocation of RM1.65 billion for 49,060 existing students comprising 41,324 students locally and 7,736 students abroad. "We will also use the additional allocation of RM160 million under the 2016 Budget Revision to sponsor the 2016 intake."